As you’ll see shortly, it turns out that Kevin Starrett was right when he questioned whether it was true. The “10 days” has gotten quite a bit of play. Sen. Prozanski wrote an op-ed for Blue Oregon, Penny Okamoto, the Executive Director of Ceasefire Oregon wrote about it in an op-ed for the Salem Statesman Journal, The Oregonian reported on it, The Newberg Graphic reported on it, USA Today covered it and it was reported on in the Eugene Register-Guard. Most articles focused on how long it is before the Oregon State Police destroy the records. 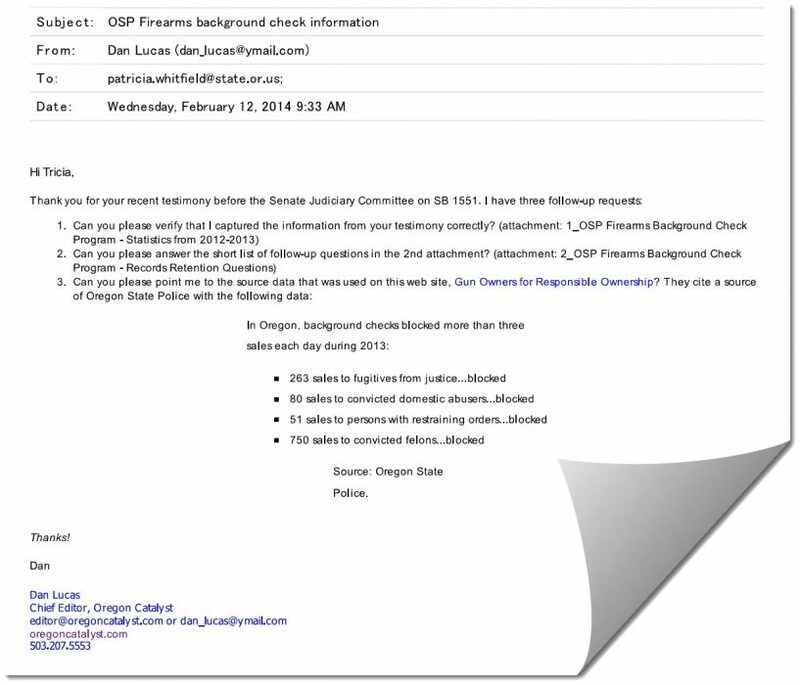 The statement in Penny Okamoto’s article was broader “the records of gun buyers in Oregon who pass a background check are destroyed in just 10 days,” without limiting her statement to the Oregon State Police. So is it 10 days? No. If you buy your firearm from a private individual at an Oregon gun show, state law requires that the seller keep your records for five years. That’s just for the background check records kept by the seller. 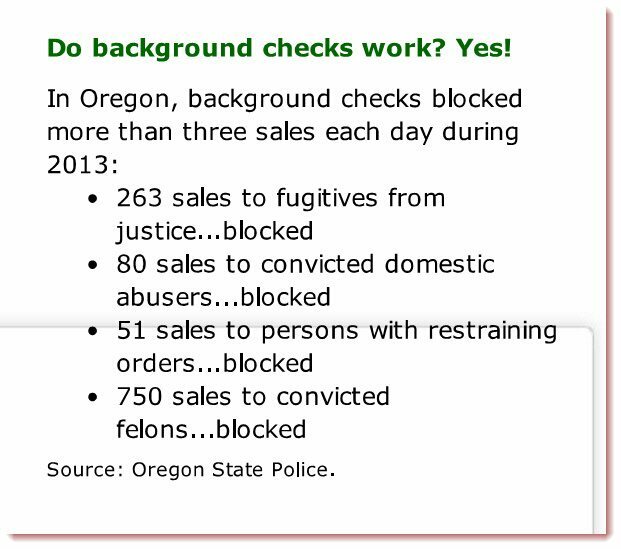 There are also the records at the Oregon State Police (FICS) and FBI (NICS). Records retention at the FBI isn’t very complicated – federal law requires that the NICS “must destroy all identifying information on allowed [approved] transactions prior to the start of the next NICS operational day.” Things get a little more complicated at the Oregon State Police. OK, so at least at the Oregon State Police records for approved firearms background checks are only kept for 10 days, right? No, they’re actually kept for 90 days, and the only thing that’s keeping them from being kept for 5 years is a policy that could change any day. When Tricia Whitfield testified, she was only thinking of one type of record at the Oregon State Police. She hadn’t considered backups of information. In follow up information requests, I learned that the backups are kept for 90 days. Additionally, it is only an Oregon State Police policy that keeps the records from being kept the full 5 years allowed by Oregon law. A policy established in 2011 by the Superintendent of the Oregon State Police, and that the Superintendent can change any time they like. A policy is not like a state law that requires approval of the Legislature and Governor to change. Gun Owners for Responsible Ownership_OSP background check data (OSP response: “OSP has not provided information to ‘Gun Owners for Responsible Ownership.’ You will need to contact the site administrator to verify where they received their information.”) Gun Owners for Responsible Ownership is an anti-gun organization using that name to sound like something they’re not.